The loops help you see your progress in stretching and flexibility. 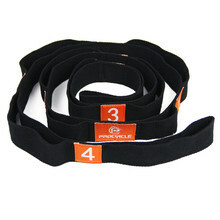 No need to adjust the yoga strap for the different stretches. Strong and durable | Made with premium grade cotton strap that will last for years | 76 inches long with 10 independent stretching loops which helps target most muscles. 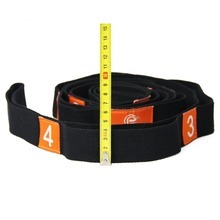 Great strong and well made product. 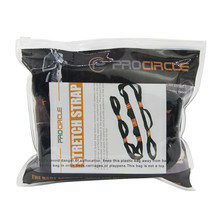 I misread the description and thought the band was stretchy, it is not, has no stretch at all. 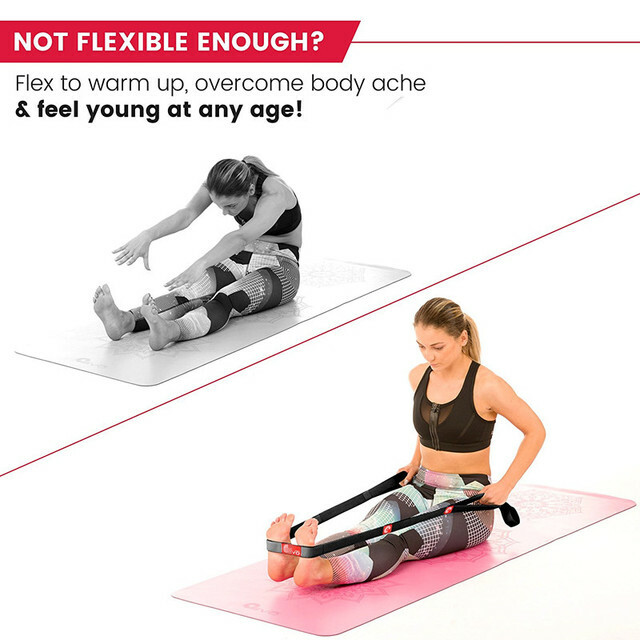 It is for stretching your own muscles! 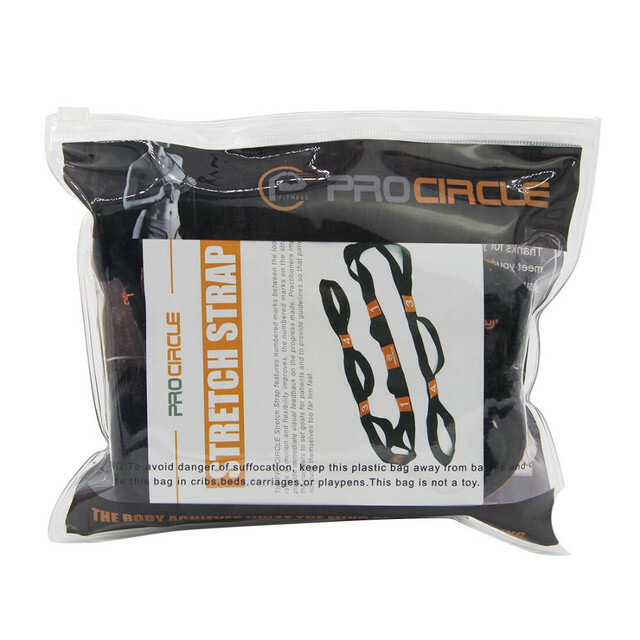 No problem as I can use this to improve my flexibility and balance, so I’m happy with product after all. Great quality, exactly like the picture. I recommend it. Very quality nice, product recommended! High quality goods. Comes with Exercise Instructions and nylon carry bag. As described very happy with it. Seems to be strong.